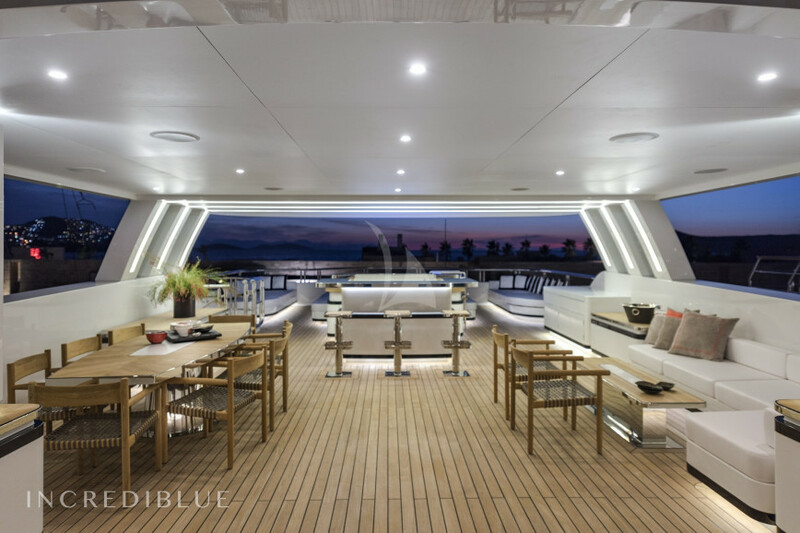 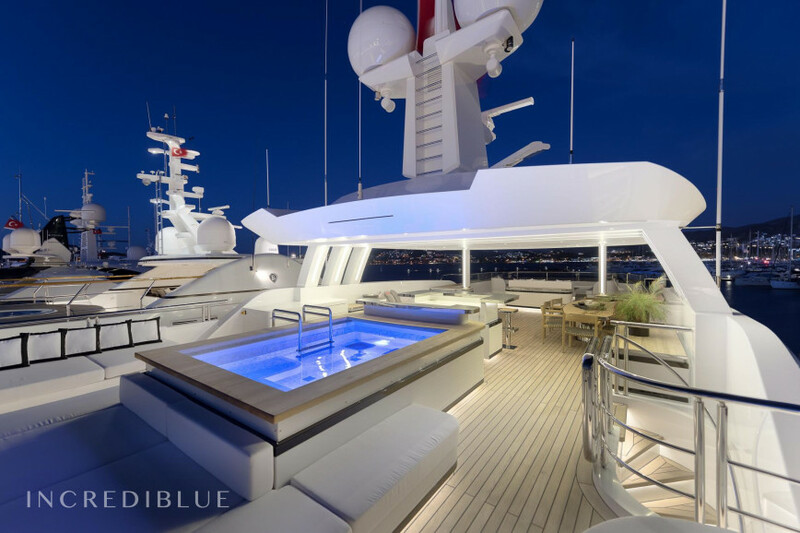 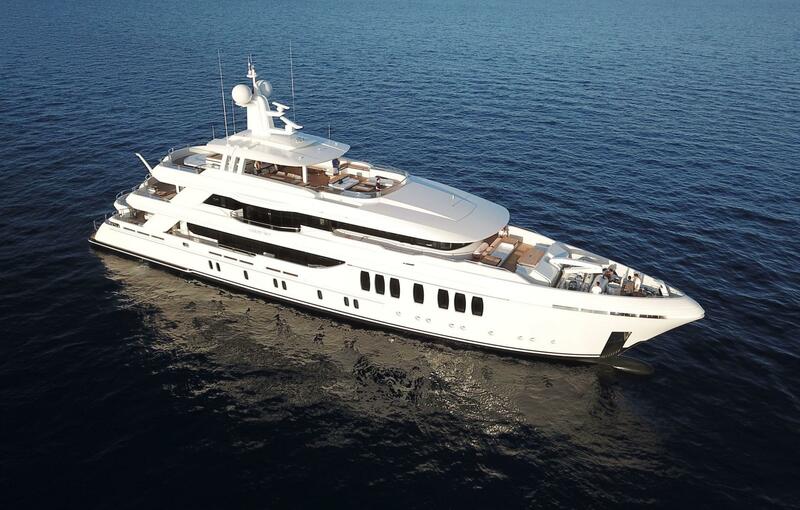 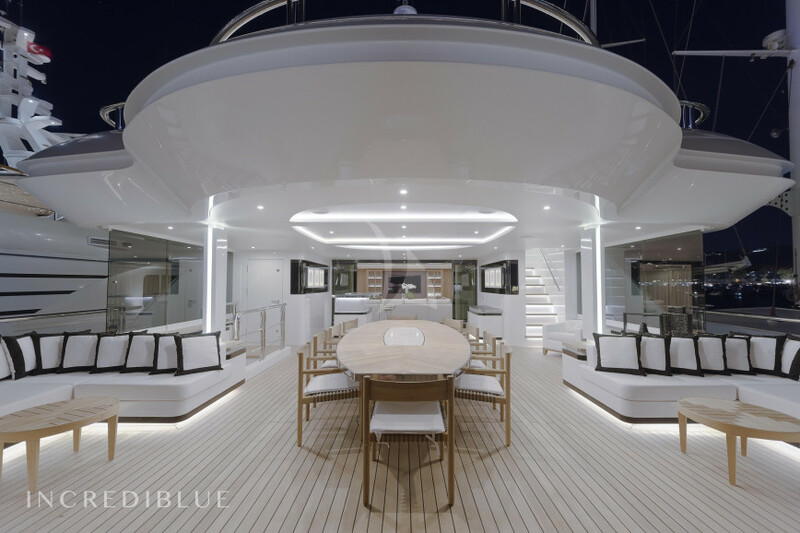 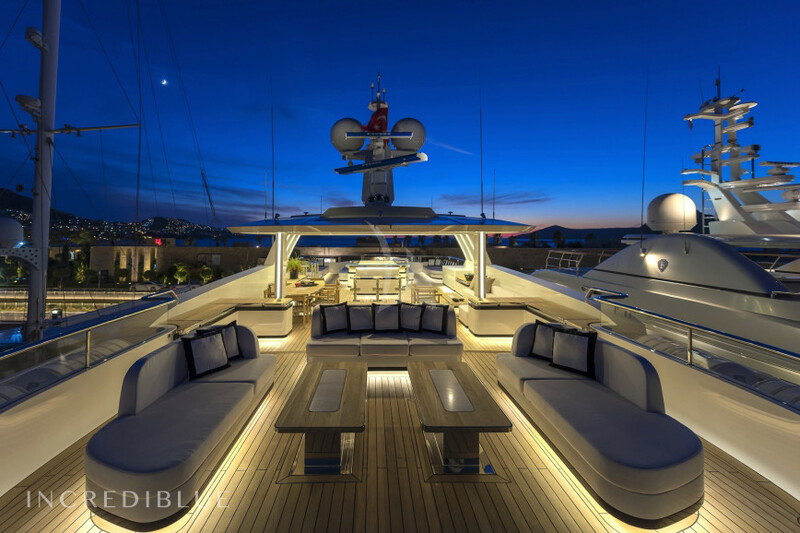 Liquid Sky is the latest yacht built by the famous shipyard CMB Yachts. 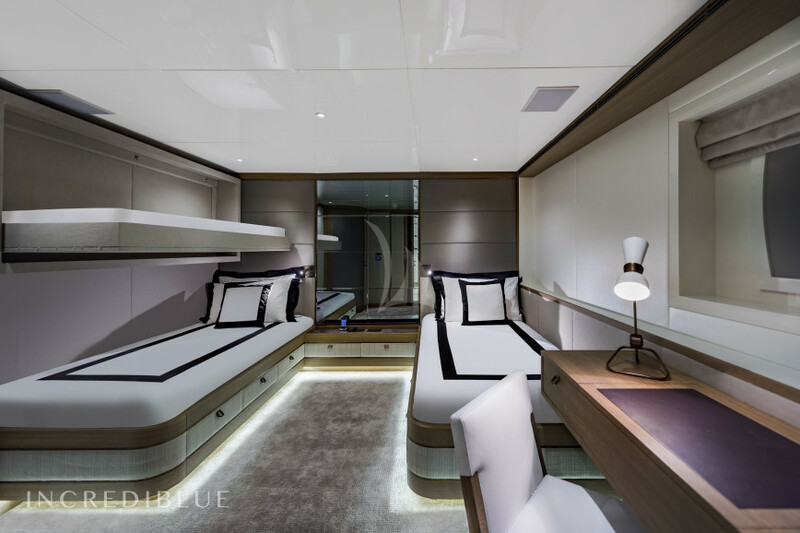 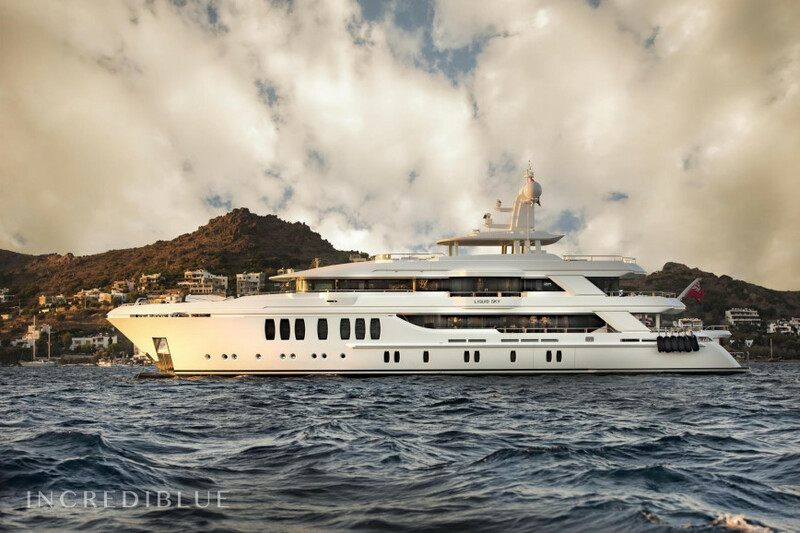 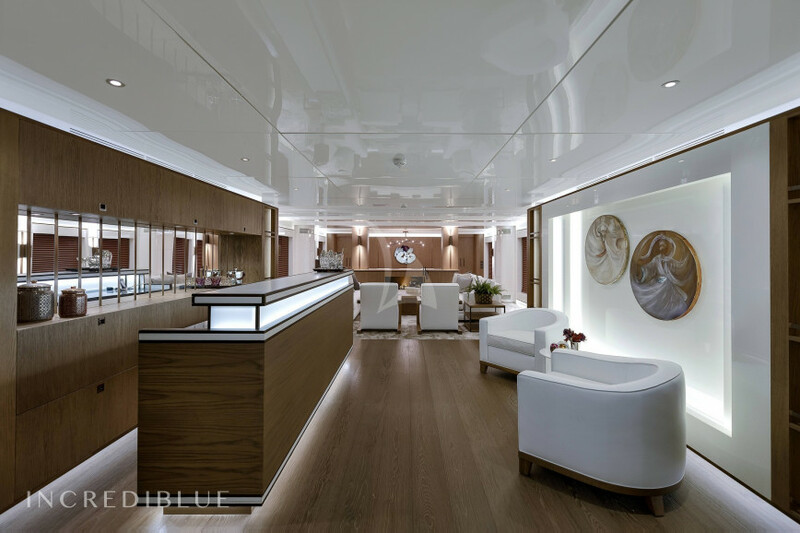 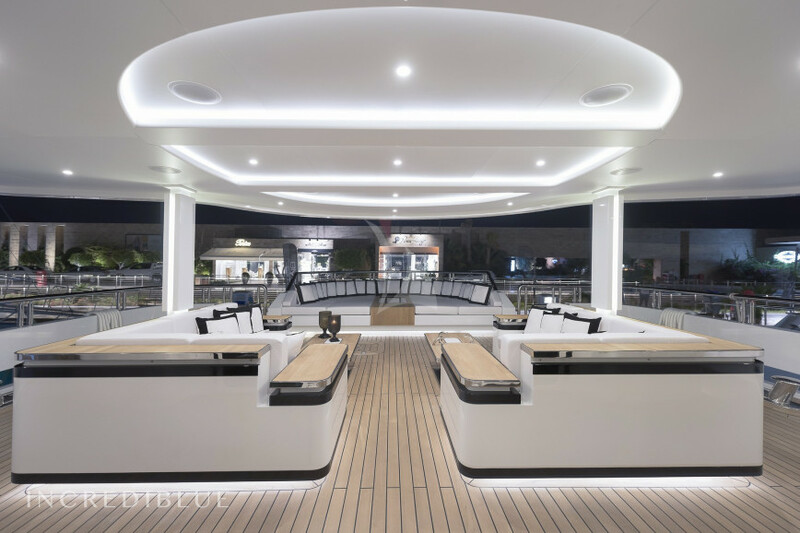 47m Super Yacht with the best materials and design Espen Oeino combines wood, corian, bronze and fabrics built in soft tones. 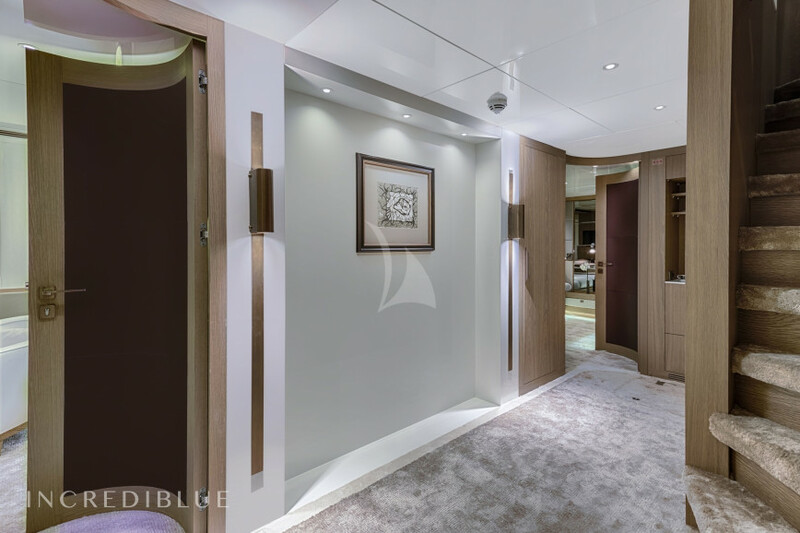 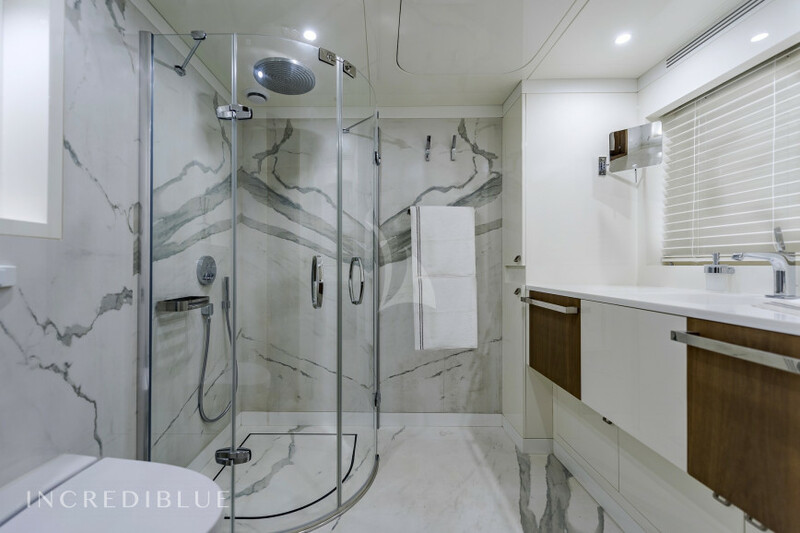 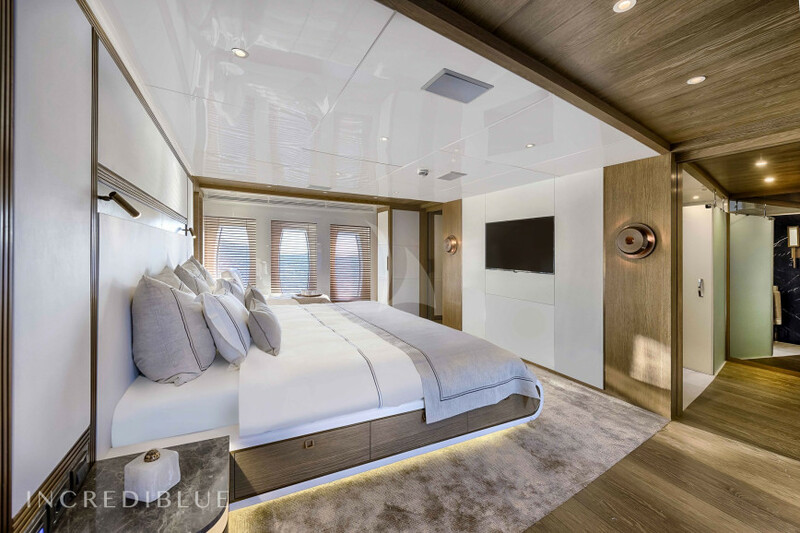 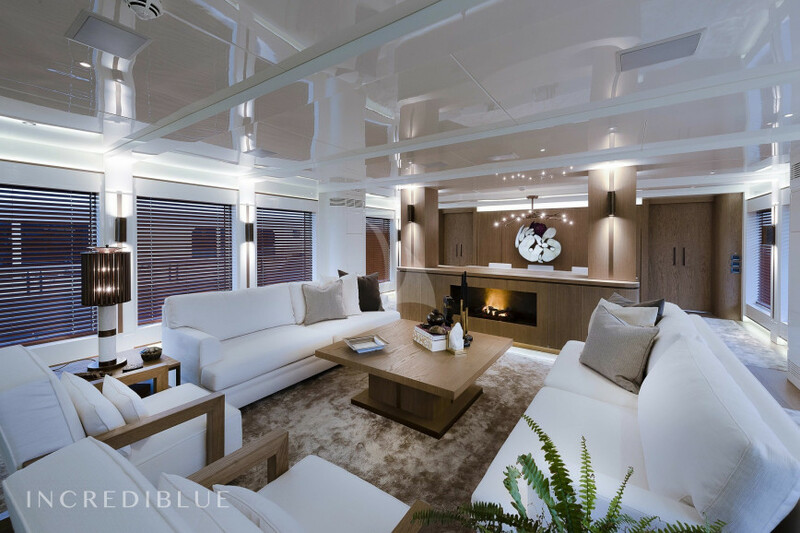 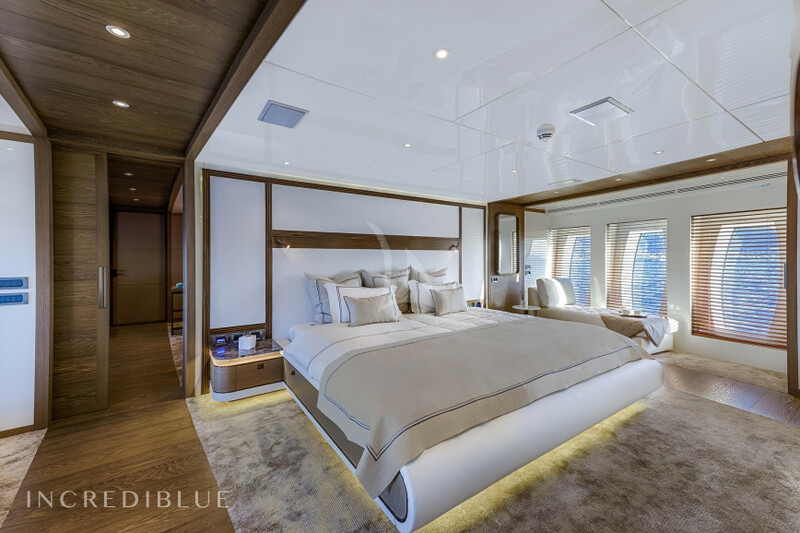 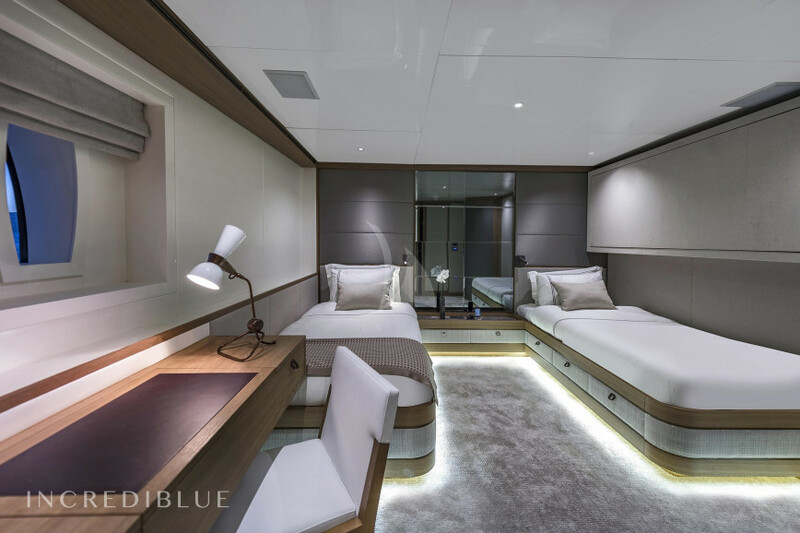 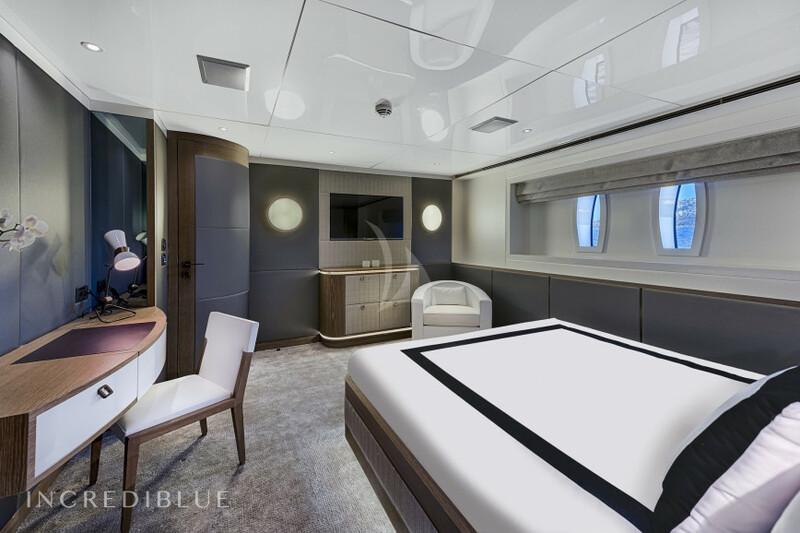 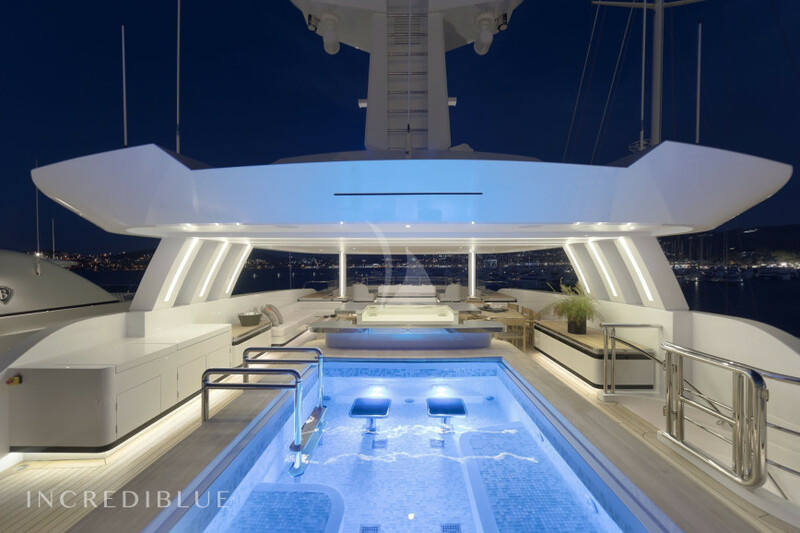 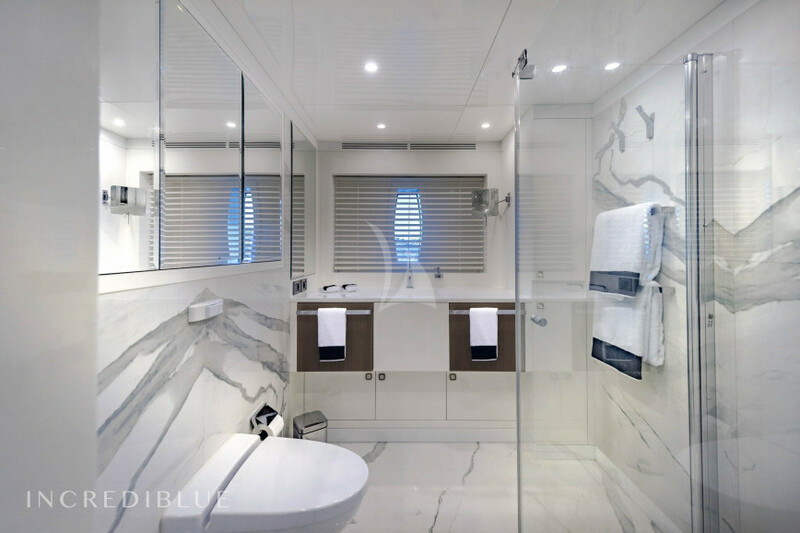 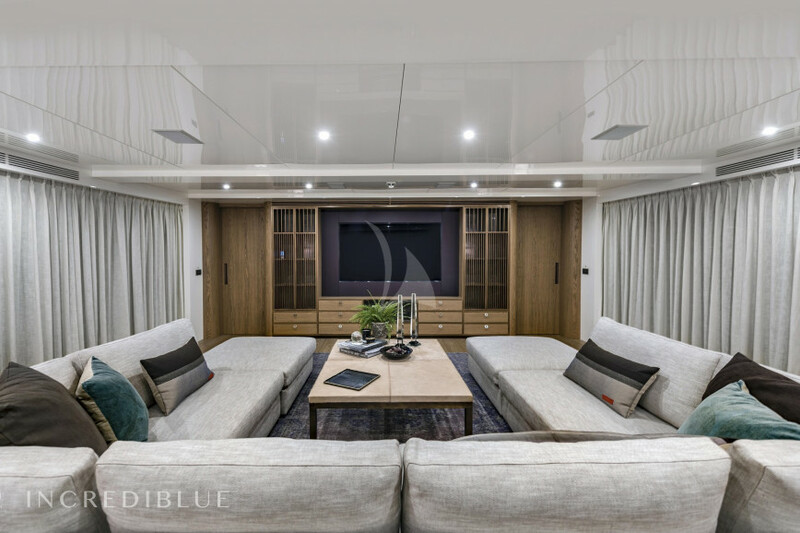 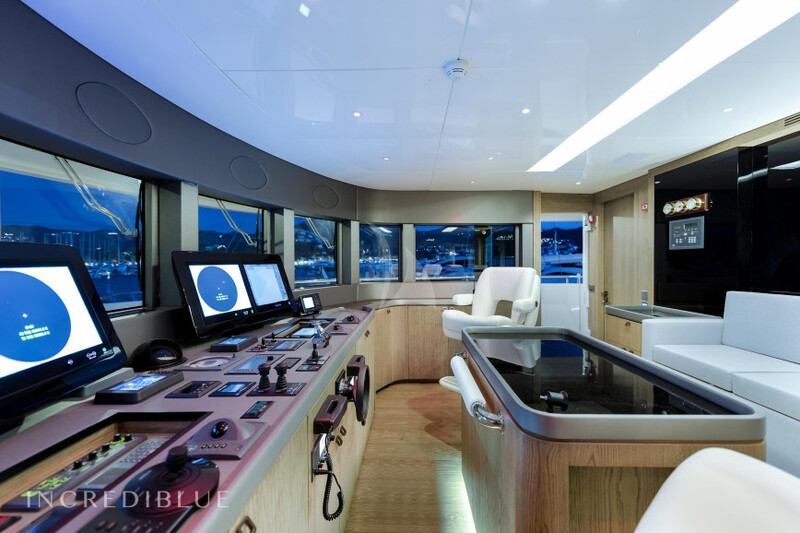 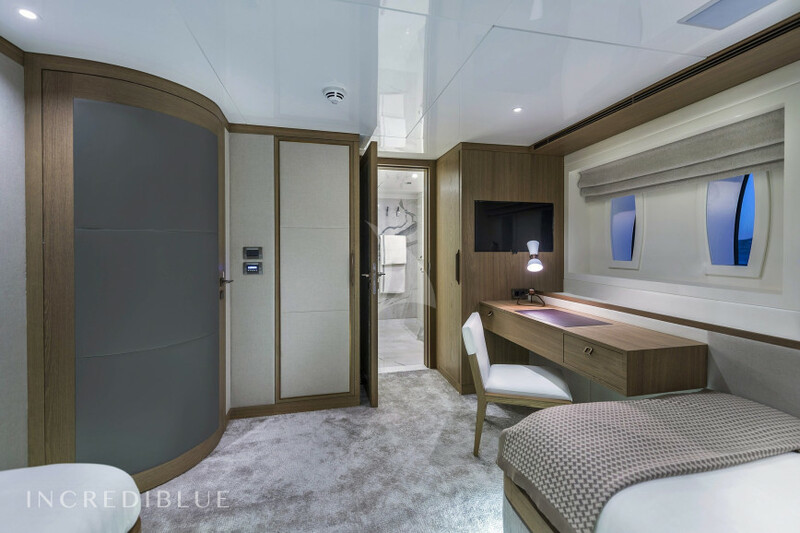 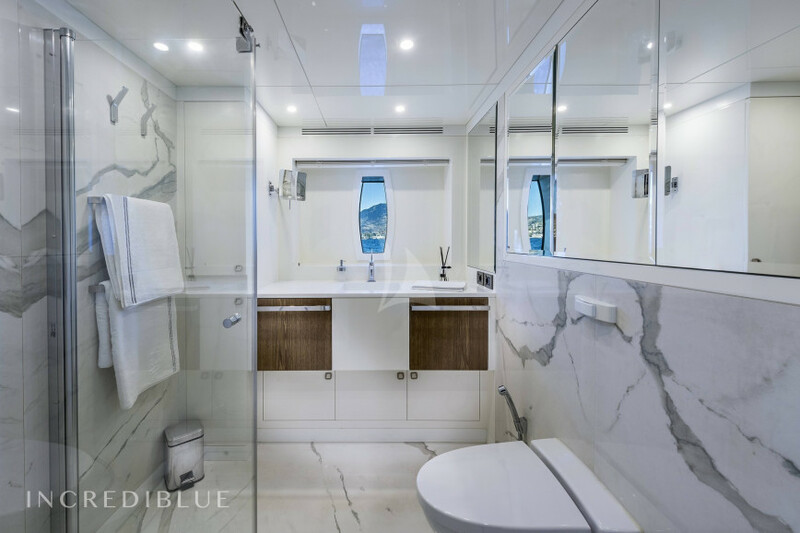 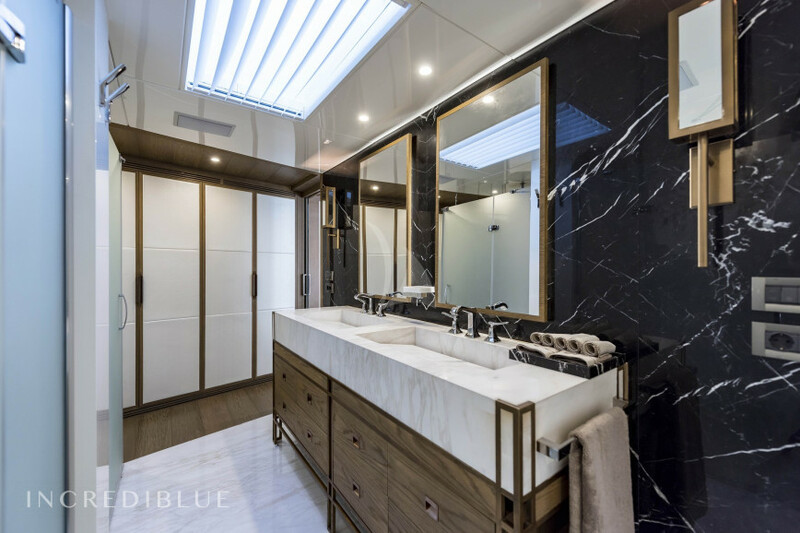 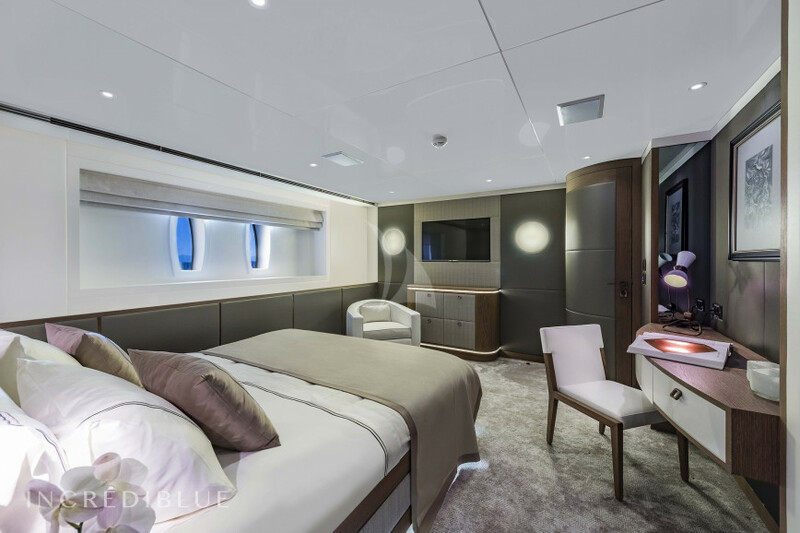 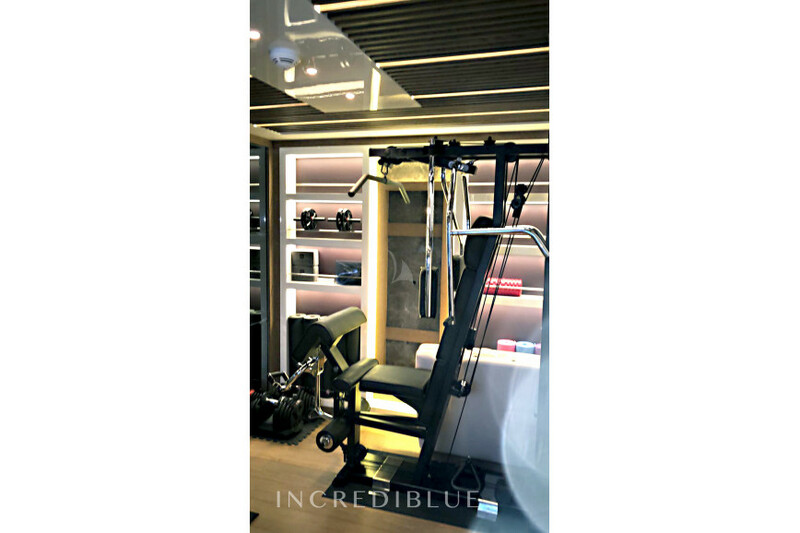 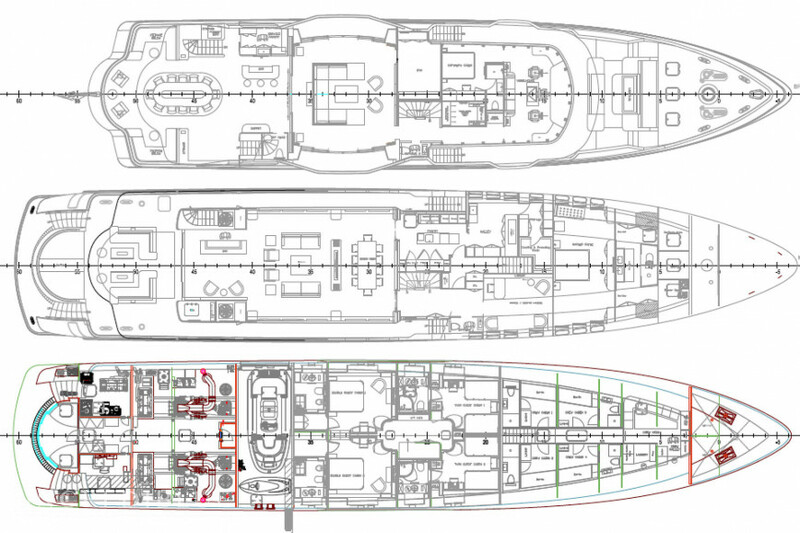 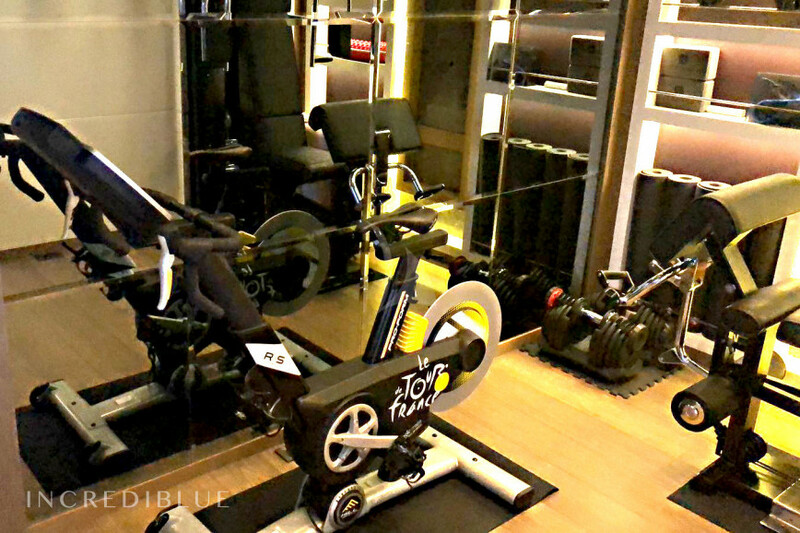 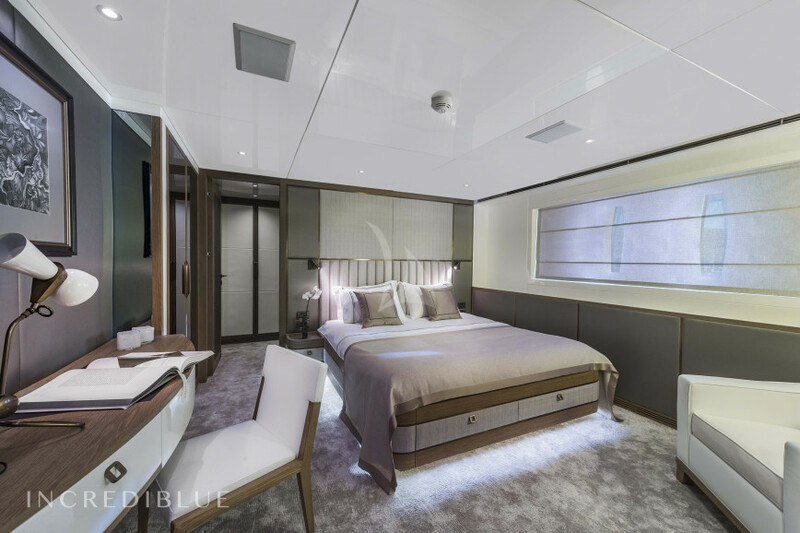 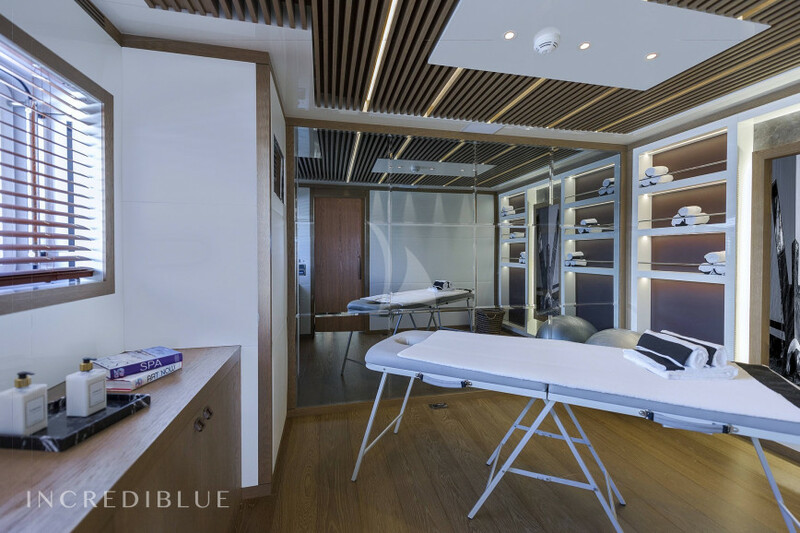 Liquid Sky offers a large interior volume with 5 cabins, a fully equipped fitness, a main hall and a lounge on the upper deck, which opens two balconies to 180 °, one on each side. 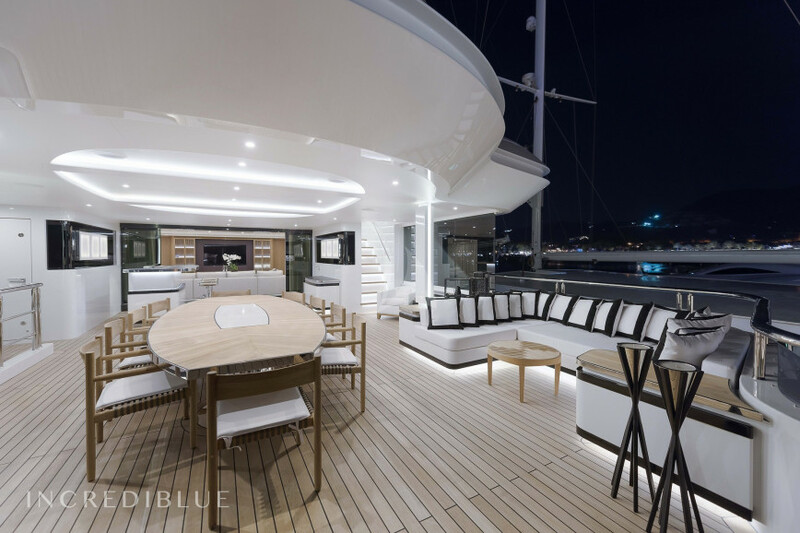 Space is divided into three decks. 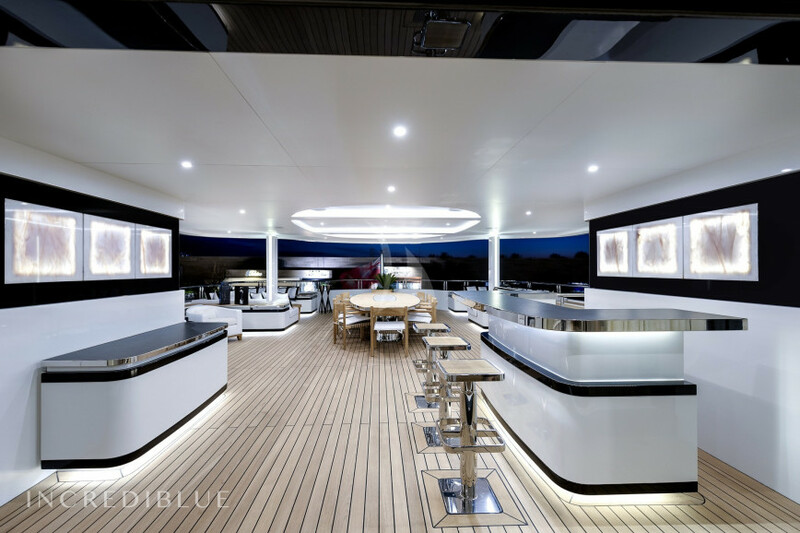 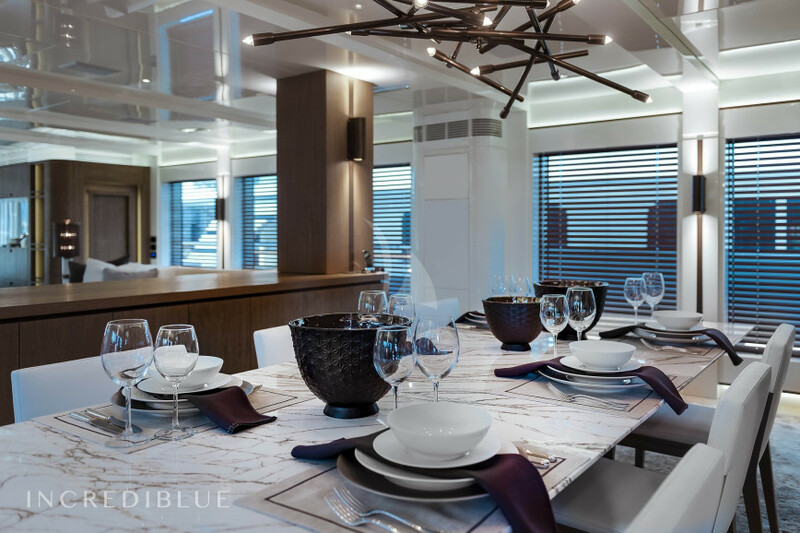 Each one has a bar, dining table, sound equipment and everything necessary for you and your guests to make the most of the holidays. 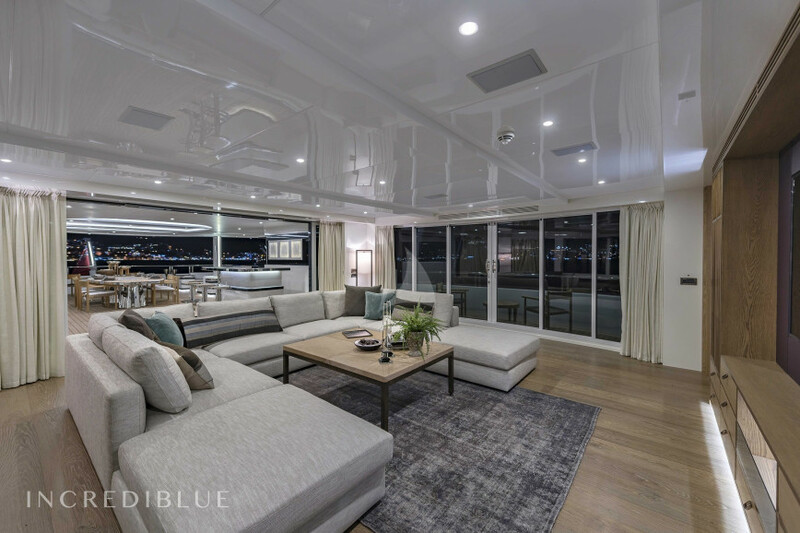 You could say that the best thing is the top cover (the sky deck), as it offers 28m / 90, space, a jacuzzi for 8 people, a waterfall, BBQ and several sunbathing spots. 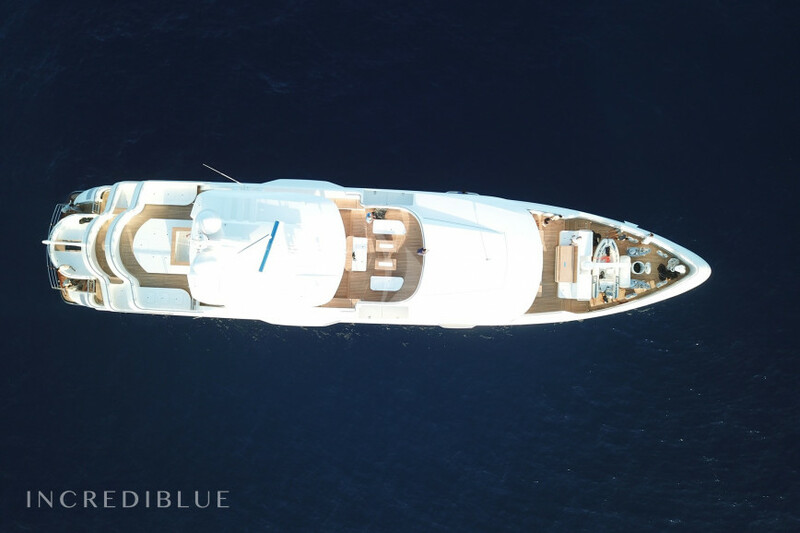 Liquid Sky will be one of the best yachts for rent in the Caribbean and Bahamas in winter and Cannes, St. Tropez, Monaco and Ibiza in the summer. 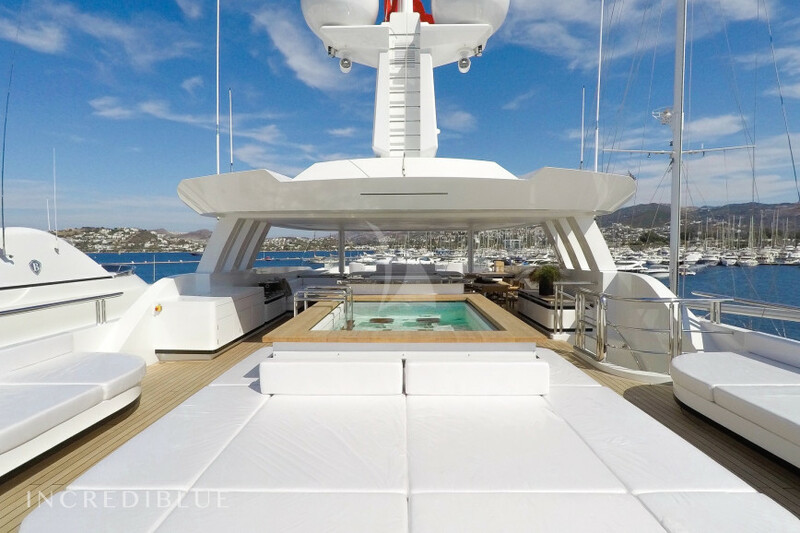 Engine power 2 x 1450 H.P.